Home Is Where The Art Is: The Unlikely Story Of Folk Artist Maud Lewis Lewis sold paintings to passing tourists for $2. Now, they go for as much as $20,000 and her entire house is on view in a museum. Maudie tells the true story of the untrained artist from Nova Scotia. 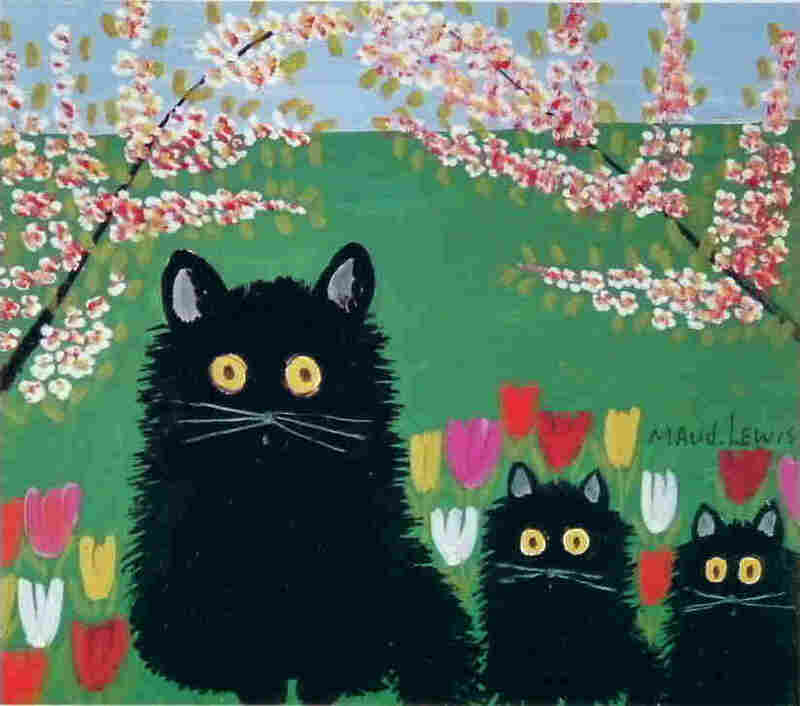 Maud Lewis, who never had any formal art training, painted the scenes she saw around her home in Nova Scotia. She painted Coastal Scene with Gulls on particleboard in the 1960s. 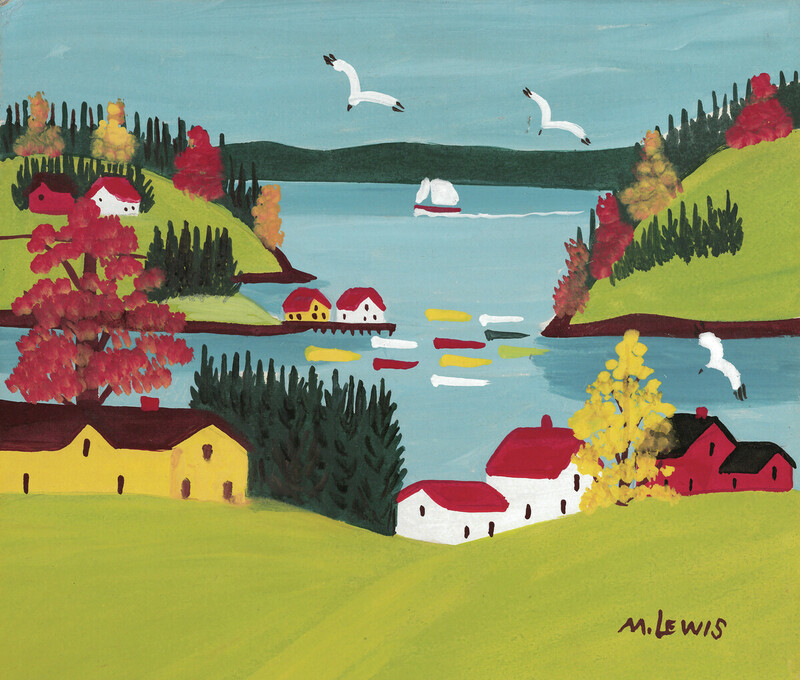 There's no rain in her clouds, no gray in her shadows; Maud Lewis' small paintings are bright with sunshine, and filled with blue skies, crystal snow and calm waters. Now, a new movie tells the true story of a painter from Nova Scotia whose joyful works hardly hint at the difficult life she led. Lewis used leftover house paint to brighten the walls of the tiny home in Marshalltown that she shared with her husband. Lewis had no formal training, but she got her start painting Christmas cards with her mother, which they sold for 25 cents. As an adult, she used leftover house paint to brighten walls, bread boxes, cookie sheets — even the stove — with butterflies, tulips and swans. Canvas was expensive and hard to come by, so Lewis painted on beaver boards and Masonite — and she did it all from her own imagination. "I've never seen any paintings from other artists," said Lewis, who died in 1970. 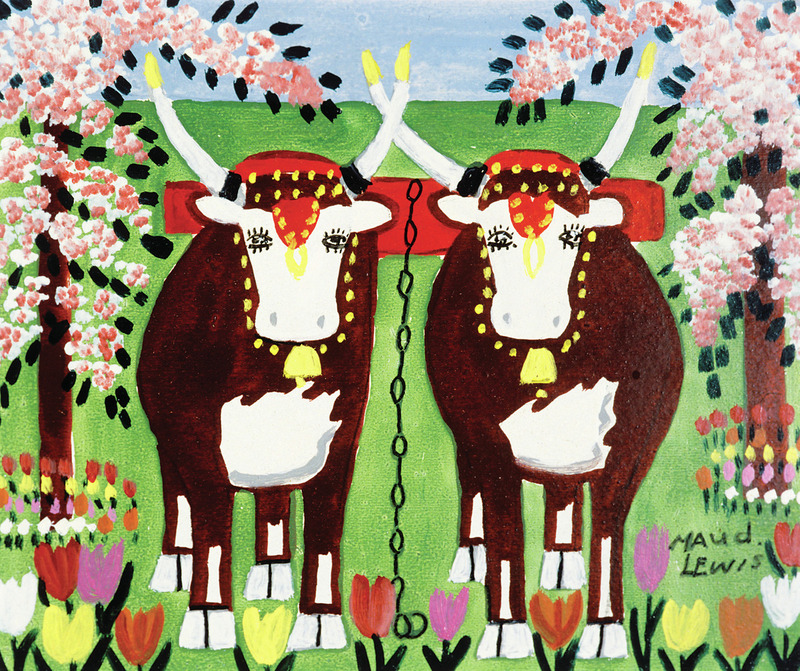 Lewis' Oxen in Spring was painted on pulpboard in the 1960s. Lewis painted what she saw — cows, horses, cats, oxen — "often with a very cheeky sense of humor," says Shannon Parker, Curator at the Art Gallery of Nova Scotia, Halifax. The gallery has 55 of Lewis' paintings in their permanent collection. "She's a local artist, who, if we didn't collect them — especially in the beginning — nobody else would have," Parker says. Lewis became known in the late 1960s, as passing tourists saw her sign: "Paintings for Sale." These were landscapes, painted on boards. She charged $2.00, later, $5.00. "She was very hesitant to ask for more money," Parker says. A writer learned about her, there was a magazine article, then the CBC interviewed her, and eventually she couldn't keep up with the demand. She began selling her pictures while they were still wet. Now her paintings sell for $8,500 to $20,000. Lewis' home is now on permanent view in Halifax at the Art Gallery of Nova Scotia. Lewis' entire house — a work of art in and of itself — now has a permanent home in the Art Gallery of Nova Scotia. 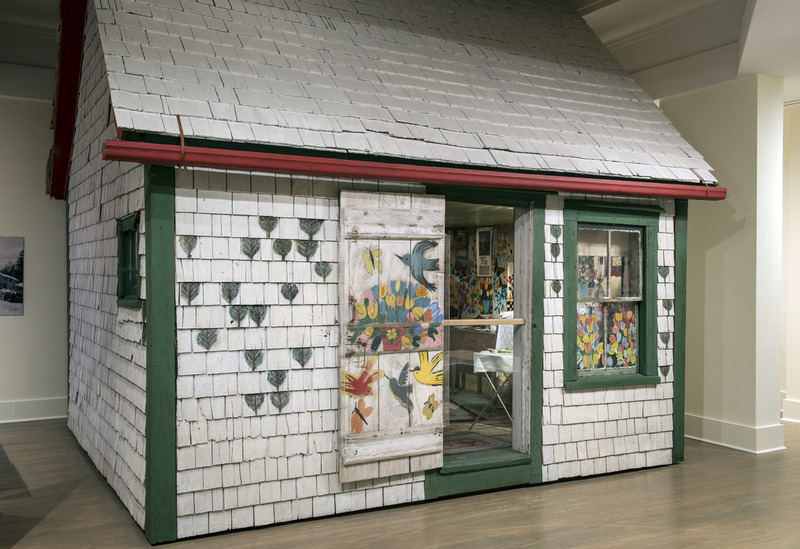 After Lewis and her husband died, the pint-sized house started to fall into disrepair, but it was saved, restored, and moved into the gallery in 1998. In the years before she died, Lewis told the CBC she rarely left home. "Contented right here in this chair," she said. "Ain't much for travel anyway. As long as I've got a brush in front of me, I'm all right." Parker thinks Maud's popularity and her story is a work of slow magic. "They didn't have a lot of money," Parker says. "They had no running water, they had no electricity. [She] was very limited in what she was able to do with her life. And yet her artwork was what she wanted to do and it's something she was able to do. And touched so many other people. That's pretty amazing." Radio editor Nina Gregory and Web producer Beth Novey contributed to this report.